Agos Boracay is one of the favorite resorts for most budget travelers. It offers several affordable rooms which starts from P2700. This charming guesthouse is just a 5-minute stroll from White Beach, in between the famous seafood market D'Talipapa & D'Mall, and various restaurants, bars and establishments. 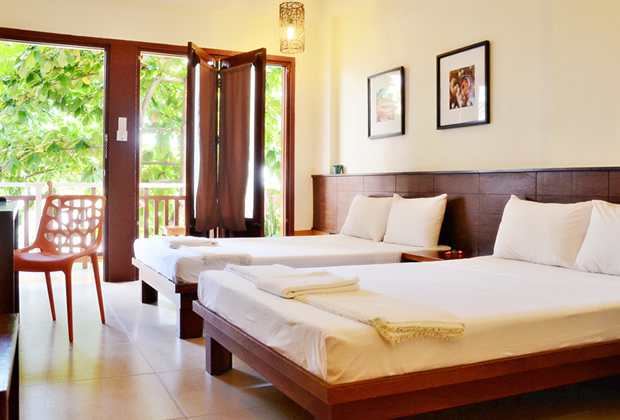 Agos Boracay Rooms + Beds features 27 rooms, all professionally designed with a modern Asian vibe. Guests can choose from superior double, superior room, deluxe room to family room. Each air-conditioned room come with, refrigerator, led tv with premium cable channels, safety deposit box, ceiling fan, water kettle for coffee/tea and caily replenishment of bottled water & coffee.